Congratulations Colin! Your film was personally selected by Cory Weincheque and Spike Jonze as the winner of our Short Film Contest and the grand prize, an all expense paid trip for two to Los Angeles, California to hang with the team while they film for an upcoming video project. 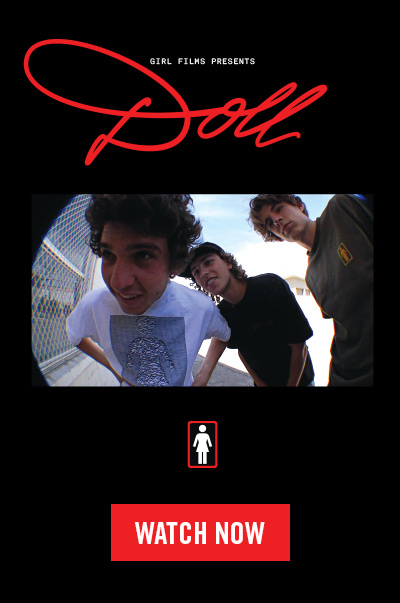 As well as the entire Girl Films/Chocolate Cinema Prize-Pack including 8 skateboards and the apparel collection. TOMORROW 4/15 we’ll be announcing the winner of the Girl Films and Chocolate Cinema Short Film Contest! Here’s a few honorable mentions that caught our eye. Thanks to everyone that entered and stay tuned for the winner announcement tomorrow! Short Films Contest Winners Announced 4/15! SUNDAY 4/15 we’ll be announcing the winner of our GIRL FILMS and CHOCOLATE CINEMA Short Film Contest! One lucky winner will be chosen to win a trip to Los Angeles to help with our upcoming Girl Skateboards video! Stay tuned over the weekend as we announce some of our favorite submissions, including “The Original Invisible Skateboards” skit by Chris Donahue. Look Ma, no hands! Fourstar’s Frank Gerwer making the Pants Dance look like a walk in the park. Post your Pants Dance (putting your pants on without your hands) on Instagram. Hashtag #fourstarpantsdance and we will pick the best video. Winner wins some new gear. Good luck! Once again thank you all for entering. It’s really so great to see your guys’ work and wish we could showcase them all here. So many excellent entries from Keith Watts rad animation to Adam Lindboe clean cut style that it made it hard to pick a winner. But when it finally came time to call it was clear that one entry reined supreme, and that one entry belonged to Daniel Policelli and his masterpiece (or at least the trailer to his materpiece), The One Man Demo. Amazing work Daniel! Your prize is on its way. And again, thanks to all the participants and to Ishod for ripping. Randall White, you made us laugh. And for that you’re a contender for the Ishod Re-Edit Contest. Quick change of plans. We’ll be announcing the winner on Tuesday instead of Monday. Send your entries to contest@girlskateboards.com. Yayah! 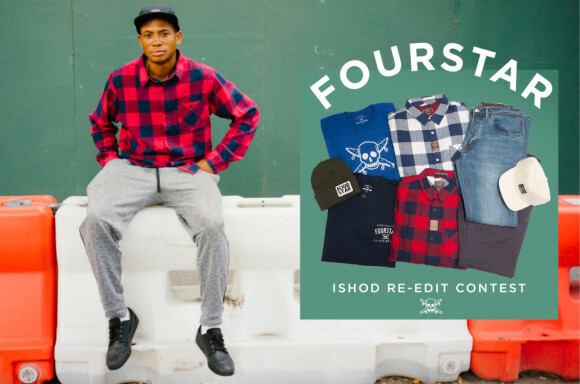 With the deadline looming this Monday we encourage you to get your Ishod Re-Edits in as soon as. The comp is stiff but, still, wide open. Below is how Colby Carlisle, how is now a contender for the big prize, saw it. Contest details can be found here. You’ve seen the edit and the raw clips, now it’s your time to put your spin on on Ishod’s footage from Fourstar’s Obtuse Moments Tour Video. 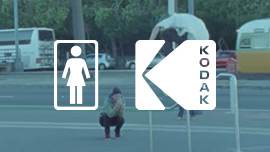 Simply take the raw clips and cut your own Ishod Obtuse Moments Edit (please no longer than 3 minutes), upload them to YouTube or Vimeo and email us the link at contest@girlskateboards.com. Make us laugh, make us cry, get us stoked. Not really looking for just a straight forward edit here. Winner gets the Fourstar Clothing pack below. Deadline is Jan. 11, 2016!